The journey back east is in full swing as we barrel down interstate 40 on our way to Santa Fe. 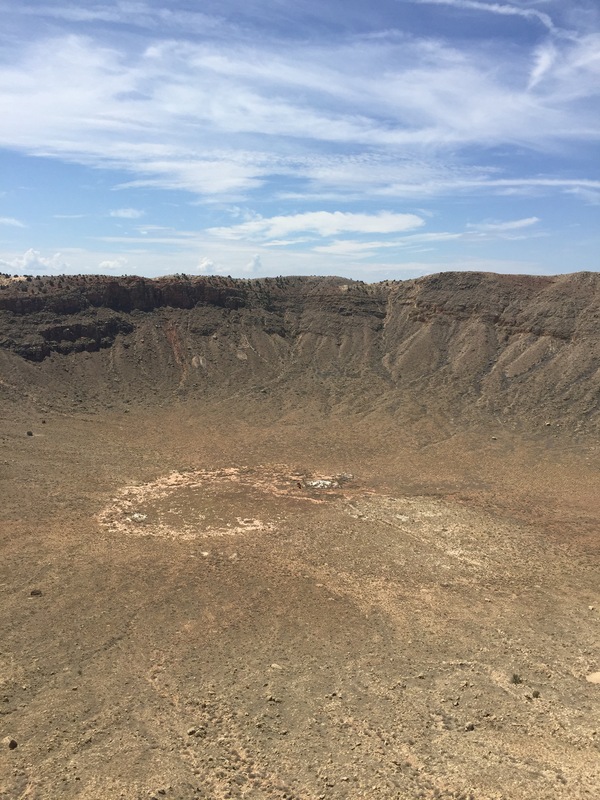 After stopping back at the ancient pueblo of Tuzigoot, we struck out towards the Meteor Crater just east of Flagstaff. Over a mile around and 50,000 years old, the crater of impact shocked sandstone is hidden from view by the massive uplifted ring around it, only revealing itself once you’re right on top of the ledge. The impact threw over one hundred and seventy five million tons of material into the air, annihilating everything around it for miles, and peppering the area with spheroids, small sand sized orbs of asteroid and precious metal. Anyhow, continuing east the red rock has been replaced by immense flat plains of orange-ish sand and dusty tan shrubs. Strips of green break up the horizon, evidence of what little water remains underground in these barren craggy lands. The roads are flat and straight, the sky is clear and blue, and the only thing that could make this leg of the journey more American is some manner of muscle car, and maybe a bald eagle in the back seat. Side note: We keep seeing signs advertising ostriches, and the act of feeding them. Not sure what’s going on here. After driving through the second monsoon in as many days, we’re back in Ablequerque beneath the looming Sandia Crest. Not much to say for the weather or the terrain other than that it’s stormy, and there are some plains. 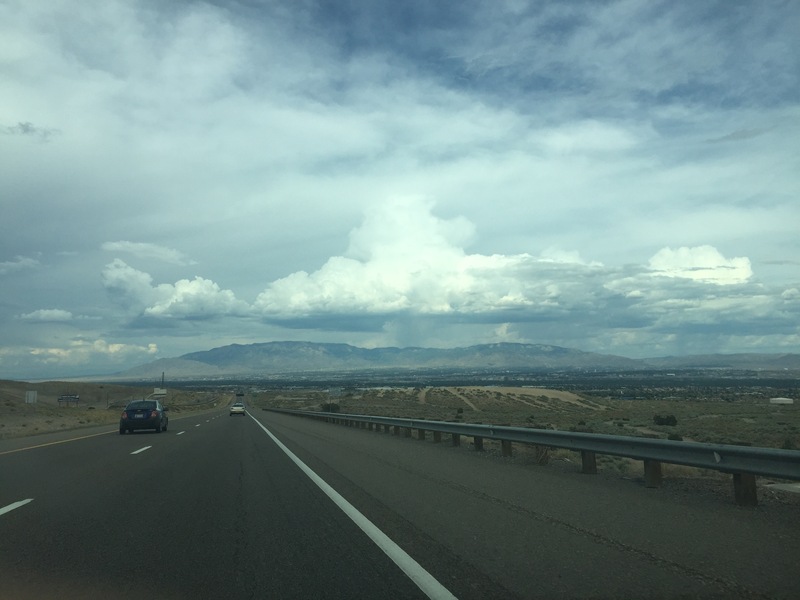 However there is a musical highway somewhere on the other side of the city, which we fully intend to track down before making our way to Santa Fe. Should prove to be interesting, assuming the rain doesn’t throw a wrench in the plans. More updates to come.